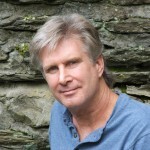 Jim Wann is the principal author, composer, and leading man of Broadway’s Tony®-nominated (for Best Musical) Pump Boys and Dinettes (1982). 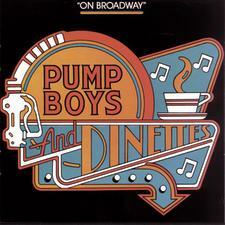 The London production of Pump Boys received an Olivier nomination for Best Musical, and the Toronto version won Canada’s Dora Award for Best Musical. It remains the longest-running musical in Chicago theatre history, and continues to be produced across the country and around the world, most recently in South Korea. The grandson of the proprietor of a men’s clothing store, Jim Wann grew up in Chattanooga. He went to college at the University of North Carolina, Chapel Hill, where he was a Morehead Scholar and was elected to the Order of the Golden Fleece, the University’s honor society dedicated to unity, harmony, and service. Since then he has been a collaborator on a number of musical shows. His first, written in 1974 with Bland Simpson, was produced off-Broadway as Diamond Studs: The Life Of Jesse James, A Saloon Musical. Not only was it a success, but it started up a new theatrical genre that the critic Clive Barnes later dubbed “musicians’ theatre.” In it, James and his Gang held up banks and trains with their guitars and mandolins. With Simpson, Don Dixon, and Jake Mills (as the “Coastal Cohorts”), Wann created King Mackerel & The Blues Are Running: Songs and Stories of the Carolina Coast. This show, now in its twenty-fifth year, still plays special engagements to raise funds for environmental and cultural causes, notably in New York at the Westbank Downstairs Theatre (Dodger Productions), in Washington at the Kennedy Center for the Performing Arts, and on PBS. The “Cohorts” have issued two CDs of their material, King Mackerel & the Blues Are Running and its 2006 sequel, Wild Ponies. In July of 2002 Jim Wann and his wife Patricia Miller premiered a new work, Jim’s Garage, at the Flat Rock Playhouse in North Carolina, and in 2005 toured in a theatrical concert, Pardon My Southern Accent. Wann has released two CDs under this title, Volume 1 being songs by Johnny Mercer, and Volume 2 his own compositions. Wann and Miller have also been active in the ASCAP Foundation’s career awareness program at the Fresh Air Fund’s Camp Mariah in Fishkill, New York. Children in this program interact with professional performers and participate in creating their own material for presentation. This summer camp served as a kind of workshop for the couple’s new musical, The People vs. Mona: A Musical Mystery Screwball Comedy, which enjoyed a sold-out engagement off-Broadway in 2007. An original cast recording was made in 2009, featuring Tony® nominees Marc Kudisch and Christiane Noll, and Tony®-winner Lillias White. On September 25, 2010, the premiere of Mr. Wann’s New Bern Romance, a new work commissioned by the Carolina Chamber Music Festival and sung by baritone Ron Raines, commemorated the 300th anniversary of the founding of New Bern, N.C. The Great Unknown: An American Musical Adventure, with music and lyrics by Wann and book by William Hauptman, opened for six performances on October 5, 2010, as an official selection of the New York Musical Theatre Festival. The musical is based on the life and exploits of John Wesley Powell, the earliest modern American geologist and first explorer of the Grand Canyon. The New York production starred Tony®-nominated actor Tom Hewitt and was directed by Don Stephenson, choreographed by Liza Gennaro, with arrangements by Wayne Barker and produced by Patricia Miller and Diana Glazer. In November the Talkin’ Broadway 2010 Summer Theatre Festival Citations recognized The Great Unknown as an Outstanding New Musical (awarded by Peter Filichia). Jim Wann has appeared on TV on the Today show, Good Morning America, the Tony Awards®, and the Pump Boys and Dinettes Special (NBC). He has acted as host of Farmer’s Almanac TV, a “green” lifestyle show on PBS. Patricia Miller and he live at the mouth of the Savannah River on Tybee Island, GA, and in the Hudson Valley. He is the father of producer and writer Jesse Wann.